Image used with permission but without Juan having read or necessarily endorsing this piece. It’s a week into the zombie apocalypse. Our plucky gang of heroes from all walks of life has holed themselves up in a sporting goods store at the edge of town. Seven people, all worried about their friends and families. All worried about the end times. They’re gathered together in the store’s office, nervously checking the security camera feed. 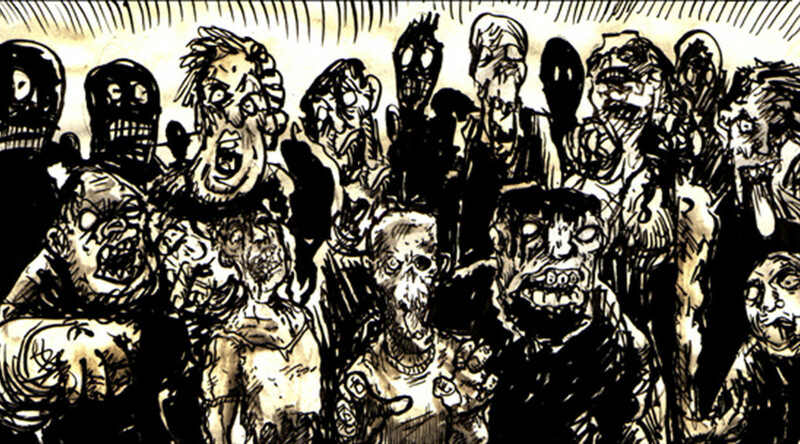 The biggest herd of zombies seems to have drifted on, and there are only a handful of the living dead roaming the parking lot, plus nearly a hundred haunting the nearby grocery store. Our survivors are waiting for a few of their crew to return from scouting the department store on the other side of the parking lot.